While addressing the audience in Nanded, PM Modi targeted the Congress-NCP alliance and said that both will sink like the ‘Titanic’ in the upcoming elections. “The condition of the Congress is just like the Titanic: it sinks a little deeper with each passing day. And the ones sitting in the ship with the Congress are either drowning along with it like the Nationalist Congress Party, or are running for their lives,” said PM Modi. PM Modi recalled Congress’ performance in 2014 elections, when the grand old party was decimated by the ruling BJP to a mere 44 and added that the situation would get even more worse this time around. He said that many leaders of the NCP-Congress alliance, some bigwigs like Sharad Pawar, Praful Patel and Rajiv Satav were not even contesting the 2019 polls. “A recent rally in his original constituency was a complete washout, and there was not a single party flag to be seen. So the Congress dynast used a microscope to find a constituency where he has some chance of winning. 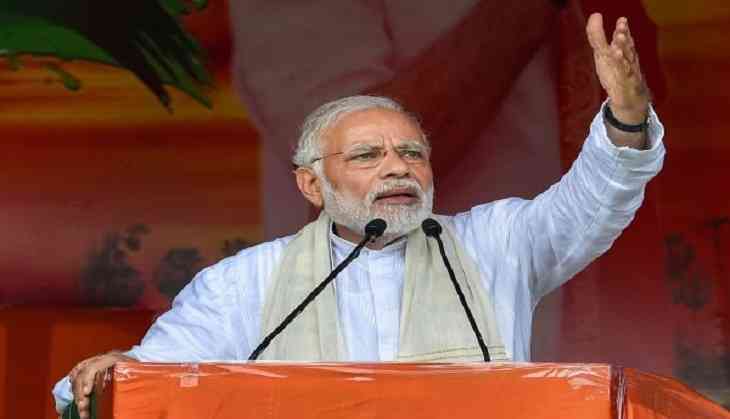 Understandably, it's a place where the majority community of the country (meaning Hindus) are in a minority,” said PM Modi at the rally in Nanded.